We are so pleased you are interested in ordering a copy of the "Archbishop Fulton J. Sheen: Servant of All" film. Thank you for your support of this great story. A special edition DVD of the film (and five episodes of Abp. Sheen’s TV series, Life is Worth Living) is now available through Ignatius Press. To purchase a copy, simply click here. 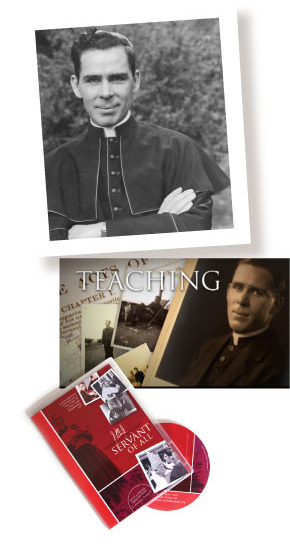 And if you would like to learn more about the cause to proclaim Archbishop Sheen a saint, please complete this form. A representative from the Foundation will follow up with you shortly.